"Max, Max, Max… Can I remind you of one FACT concerning Barrie’s negative opinion about the whole question of the possible coins over the eyes ? He cleverly based his judgment on the profesionnal opinion express by Don Lynn at the beginning of the 1980s who was the true imagery expert of STURP (he worked on many important project for the NASA) and who analyzed the question in deep. Lynn was categorical about the FACT that it was scientifically impossible that so tiny coins letters could get imprinted on the kind of coarse threads of the Shroud in such a way that they could be readable… That’s the definitive argument that convinced Barrie that the whole coin thing is scientifically untenable. Barrie’s opinion is truly based on a real imagery expert and I hope you’ll finally realize that.". The TRUE fact is Schwortz & Lynn’s opinion IS TOTALLY BIASED & MISLEADING as it is contradicted by metrologcal, optical and experimental FACTS: tiny partial ancient blood decals of 15 mm high letters in average CAN have been recorded on a 3:1 twill weave linen. as blood image resolution limit is ten times higher than that of the body image. For the sake of GOOD archaeology and fairness of debate, thank you therefore for publishing in your blog this illustrated paper extract by way of reply to Yannick Clément. “AS A PRELIMINARY APPROACH, we shall use here a set of rhetorical questions to probe the optical and numismatic potential of the linen clothe in connection with the coin-on-eyes issue. Hopefully, the real quality of both arch sceptics’ and arch advocates’ main opinions and reasoning will emerge in the following and help the reader to judge for himself on more solid and objective grounds. 1/Are there any buttonlike protrusions over the eyes? From 3D reconstructions of a close up of the Shroud face, three eminent forensic medical examiners [namely Pr. Buckling, Pr. Baima-Bollone and Pr. Zugibe]1 and four computer science experts (among whom a 3D image analyst) [namely Mottern, Halarick, Pr. Tamburelli and Pr. Balossino]2 confirmed the finding, by the American physicist John Jackson3, of flat somewhat rounded foreign solid object imprints on the eye areas. Unless one can demonstrate the eight researchers’ intersubjectivity, this is a rather well established optical and “extra-anatomical” fact. Actually the whole problem the Shroud researchers were facing was to correctly identify the said object imprints. In 1978, the late American theologian, Francis Filas, submitted a photographic enlargement (a third generation reversed photonegative copy) of the right eye area to the American professional numismatist and Greek classical coin expert, Michael Marx4. The latter could then identify the possible reading of “UCAI” – between 9.30 and 11.30 o’clock – as a fragment of the full Greek legend TIBEPIOY KAICAPOC, ″of Tiberius Caesar″, that appears on the obverse side of a small Roman colonial bronze coin 15.5-16mm in diameter minted under the authority of the prefect of the province of Judea, Pontius Pilate (26-36 CE). 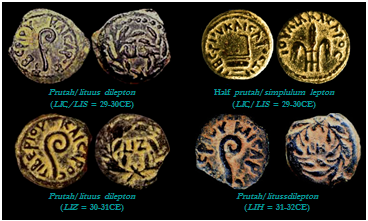 Between 29-32CE, two small bronze coin types, a “dilepton” and a “lepton” featuring a “lituus” (short curved wand used by Roman priests to foretell the future) and a “simpulum” (libation bail with angular shaft and handle) on their respective obverse side, were actually minted under the authority of Pontius Pilate. Both coin types bear the Greek legend TIBЄPIOY KAICAPOC, ″ [coins] of Tiberius Caesar ″. In the 80’s of the past century, some Shroud researchers who were neither professional numismatists, nor archaeological image analysts or cryptanalysts or even familiar with late ancient Greek alphabets, claimed to have found half a dozen lituus dilepta (Greek plural of dilepton) showing a rounded U (without a tail) substituted for an upsilon (Y) and a lunate sigma (C) for a kappa (K) by a die maker confusing his Latin and Greek in the legend TIBЄPIOY KAICAPOC. 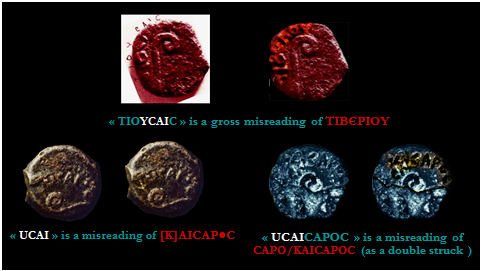 2/ Are misspellings such as TIBЄPIOU CAICAPOC or TIBЄPIOY CAICAPOC really to be found on extant Pilate coins? 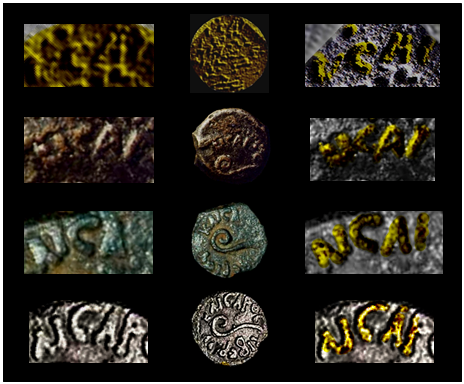 In actual numismatic fact, the claimed misspellings cannot be observed on any extant Pilate coins. They are only due to misreading inscription fragments on much worn out coins. This is pretty obvious from the following figure presenting the three alleged “best specimens”. Figure 4 Misspelling or misreading specimens? In spite of my deep respect for Filas’, Whanger’s and Moroni’s pioneering work5, their “coin legend misspelling theory” shall therefore be dismissed here as totally erroneous. 3/Would not the Turin Shroud’s three up, one down twill-weave linen fabric have been far too coarse to resolve the average 1.5mm high letters on such a small coin? The Shroud thread count is 38 lengthwise (warp) threads of 0.14mm in average diameter and 26 widthwise (weft) threads of 0.25mm in average diameter woven into a measured one-centimeter square of the shroud fabric6. Therefore metrologically, optically and experimentally speaking, nothing at all precludes a 1.5mm high letter resolution blood decal to have been left on the facial image by a Pilate coin 16mm± 0.5mm in average diameter. 4/ Can the reading of “UCAI” on the Shroud be a “mere figure in clouds” due to the photographic procedure, the computer processing or the variegations on the linen cloth? 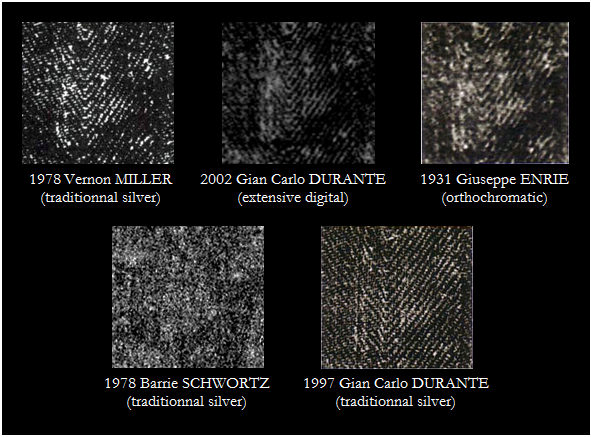 If we take a glance at digitized 2D reversed photographic enlargements of the right eye area from 1931 Giuseppe Enrie’s, 1978 Vernon Miller’s and 2002 Gian Carlo Durante’s photo-negative of the Shroud face, the same letter-grouping-like shapes can be detected (though as if a little bit out of focus on both Miller’s and Durante’s compared to Enrie’s). This means it is not an artefact of a certain photographic procedure as it can be depicted by photographs shot in different techniques whether orthochromatic, traditional silver and extensive digital. The letter images are not apparent on 1978 Schwortz’s and 1997 Durante’s Shroud face photograph just because of the use of two different lighting techniques. In 1978, Schwortz lit the Shroud from the front so as to minimize weave appearance to invisibility thus causing some already faint bloodstain patterns nearly standing out on the Shroud fabric to technically disappear from the photographs. In 1997, the “UCAI” sequence orientation happened to be nearly aligned with the incoming light direction thus causing a form of obfuscation from illumination to occur. As far as 2D to 3D conversion by digital processing is concerned in terms of reduction in the weave pattern and increased sharpness of image, it must be noted that no additional graphic data can be found in a resulting 3D image from an authentic (first generation) orthochromatic film or slide copy, had not the graphic information been integral to the original 2D image8. The letter-grouping-like shapes are thus clearly distinguishable from the vagaries of the weave. If the reading of “UCAI” had really come from the banding, both vertical and horizontal, encroaching on the area of the right eye, or been a mere “figure in clouds” on 1931 Enrie’s, 1978 Miller’s, 2002 Durante’s Shroud face photographs and 1981 Tamburelli’s 3D reconstructions of the said area, how come then the same “figure in clouds” can be also seen – visually embedded within the inscription KAICAPOC as a spy numismatic detail – on tens of existing Pilate coins minted in the 16th, 17th and 18th regnal year of Tiberius (see Fig. 5)? The photographic, eidomatic and numismatic evidence offers therefore a complete rebuttal against the “mere figure-in-cloud theory”8. 5/ Can Enrie’s black and white orthophotographs of the Shroud face taken eighty years ago on large glass plate negatives still yield usable and accurate information? 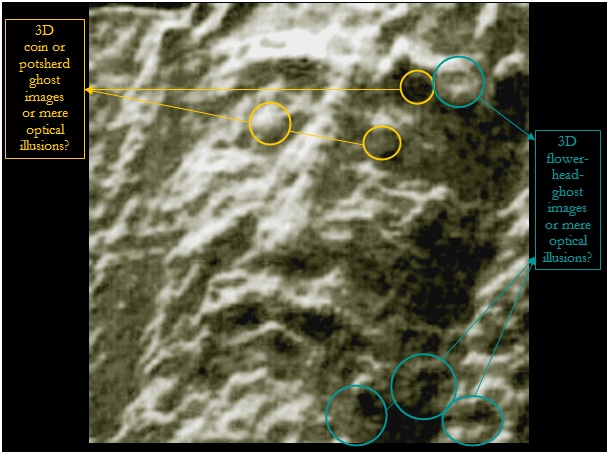 Besides mechanical squeeze and 3D scanning, it is common knowledge, among archaeological analysts and cryptanalysts that the best aids for deciphering purposes of 3D encoded ancient images and inscriptions invisible or almost invisible to the naked eye are applying false colour, 2D to 3D conversion and digital squeeze of photographs taken under appropriate raking light. 1931 Enrie’s Shroud face orthophotographs are not simply very aesthetic as some Shroud researchers would too hastily think. Mostly because of a longer time exposure under appropriate raking light and the use of specially designed filters which enhance local contrast, they did capture the finest details of the Shroud face image and haematic (or blood) imprints along with the characteristic weave pattern and the folds and creases of the linen fabric at scales 1:1 and 2:3. As such and regardless of 2008 HAL9000’s high definition digital photograph that should allow researchers* to analyze the Shroud in unprecedented detail, Enrie’s reversed negatives and positives are still the best candidates available so far (along with 2002 Durante’s digital photograph of the Shroud face as double or triple check) for detecting and studying any possible 3D encoded blood-stained coin tiny patterns embedded in the suspected image areas. Enrie’s photographs do yield usable and accurate information even more modern photographs fail to do. This is made pretty obvious with the photographic enlargement comparison of the right eye area from Shroud face photographs shot in different techniques (see Fig. 7). Max, I know some people look at this and find it very convincing. I don’t. Is the cloth too coarse? Is the nature of the film inadequate? Maybe. I don’t know. My problem is perception. I suspect that some of us have different, indeterminable acceptance thresholds where I think I see becomes I see. We all know that there is a scientific way to finish with the “I think I see” game. Release the original images for public and open scrutinization and apply state-of-the-art algorithms and techniques. In all cases so far, the authors of the coins-letters-flowers claims prefer to keep the original images for themselves, cook them in the “I think I see” oven, usually with the aim to bring the attention of the media and not of the scientific community. Shroud studies have been trapped in this kind of non scientific bad practices for years. So sad. Gabriel, don’t you forget the coin-one-yes issue was totally spoiled by non qualified experts and the 2008 HAL9000’s high definition digital photographs of the orbital areas are still not put at the disposal of qualified searchers in the 5 main relevant fields and approaches here involved (namely professional numismatics, palaeography, ancient blood pattern analysis and archaeological image analysis and cryptanalysis). Getting even a 2002 Durante Sindon face digital authentic copy from the Turin authorities is an assault course. This is not a funny game at all for a searcher not to be allowed to double or triple check his results for lack of Shroud photographic documentation and have to endlessly delay the publication of his research paper. Max, well before Duran&HAL9000 fotographs many authors have claimed that they see things on images never released. I will release mine (on Enrie’s) and they are quite impressive. I even succeeded to eidomatically and very accurately reconstruct the 2 coin obverse types from the very tiny partial blood patterns detected on the eye areas (nothing to do with French-Canadian Pilate coin collector and amateur numismatist, Jean-philippe Fontanille’s 2001 totally biased coin image extraction). The final results are still to be double and triple check with 2002 Durante and 2008 HAL9000 Sindon face photographs. The tiny partial blood decals are faint brown to carmine brown and red carmine in three different areas and are recorded at four different scales (1:1, 3:4, about1:2). Dan can you account for the same “UCAI” sequence appearing BOTH on the Turin Sindon right eye area and tens of Pilate coins? Actually, I can’t account for it because, frankly, I don’t see a UCAI sequence on the shroud. Yes, I see bits of shading that might somewhat resemble UCAI-like lettering. It could be a pareidolia. It is not distinct enough for me to say comfortably that it is lettering. Moreover, I wonder if what I see is a color change to the fiber or a coating, blood, dirt, a yarn defect, banding (bleaching differences) or even a photographic artifact such as a shadow or silver clumping during contrast enhancement (these are not digital photographs) all in some combination. Maybe Gabriel is right that there is software without bias that can determine a statistical probability that what is there is possibly a coin image. I think that we must go back as close as possible to looking at the cloth itself. Can I see the original negatives or high-definition unenhanced digital scans of them? Can I see each generation of film-to-film enhancement with a microscope to see that artifacts are not being generated. Is the enhanceement work precisely documented and reproducible. Right now it is a one-time shot in the dark, seat of the pants ehahncement, isn’t it. Maybe another series of enhanceements will produce different results. It would be nice to use digital methods with the original negatives. Different digital algorithms might produce different results. And by-the-way, I’m not impressed with Rodante’s and Moroni’s analysis. If anything, as I look at it, I think they show that this letters cannot reside on the yarn unless image color can bridge across from one fiber to another. The only difference here is Moroni’s tiny coin patterns are FRESH blood decals whereas the TS tiny coin patterns are ANCIENT blood decals. Dan, now can you see the difference or still cannot you? “UCAI” is only a misreading by people mistaking Greek letters for Roman ones. Here the misreading “UCAI’ is a well known case of perceptual filling in by non-ancient Greek letters readers. This is triggered up via a fragmented blood decal of Pilate coin obverse legend. Typo: a well known case of perceptual filling in by people who cannot read ancient Greek letters and misread here a fragmented blood decal of Pilate coin obverse legend. I have an inquiry. As we know the Shroud image is a negative. What is the observaton about the coins? It is a positive or negative image? I am not being cute. In trying to determine how the image was created, that’s a reasonable question. For example, the blood is a positive image on the Shroud. That marks the blood formation independent of the process that created the image. If there are coins, whether the images are negative or positive would be important. John, here is the answer from my extract above: “[…] contrary to the body image – it should be here emphasized that the intriguing faint and very tiny faint brown [to faint brown carmine] letter-grouping-like patterns on the right eye area do appear photographically positive like the blood stains on the linen cloth.” On the left lower eyelid area, they are brown carmine and at mid-arch on the left eyebrow area, they are red carmine. This idea that there are tiny bloodstains over the eyes remains to be scientifically proven Max! To my knowledge, STURP (not even the UV photos study of Pellicori and Miller) never mention the presence of such bloodstains there. YC, I already answered to your same objection months ago, don’t you remember? All I know about the so-called coins over the eyes can be summarized like this : Don Lynn was a TRUE imagery expert and spent a good time examining closely some close-ups photos of the region of the eyes and never was able to confirm the presence of these supposed coins there. Coming from that kind of true expert in the field of imagery, this is not a banal conclusion. And here’s the most important thing to note: The only persons who seem to be able to see these coins are the same who really seems to hold stubbornly to see them!!! Isn’t that strange that they are all pro-Shroudies? Note that what I just said is also true for all the “I think I see” kind of things related to the Shroud, like the so-called flower images for example. Of course, it’s pretty easy for anyone to see that there are some protrusions in the eyes region on 3D images of the Shroud, but the only sure thing we can say about that is the fact that the density of the coloration is more important there than in the neighboring, which is the real cause of these protrusions on 3D images. Scientifically, that the only safe conclusion we can make and this higher density of coloration in the eyes region can, in fact, have been caused by many other things than coins over the eyes. In reality, I truly think that it’s safer to assume that this was caused by a biological factor (or many biological factors), just like, most probably, the rest of the coloration that formed the body image on the Shroud. A good example of a possible biological explanation would be to assume that, for some reason (more urea deposit over the eyes than around the eyes? ), there has been a higher release of ammoniac gases in this particular region of the eyes versus the peripheral region, which would have caused a more important density of coloration on the surface of the cloth in this particular area. Another rational explanation could come from the fact that the eyes of the Shroud man were very swollen and because of that, they were closer to the fabric than normal, which lead to a more important coloration because of this high proximity (probably a direct contact). And if there are some bloodstains there (it’s far from being proven as I don’t recall having seen anything about that in the STURP literature), then the shape of these tiny stains could have been easily interpreted as letters by Max or other persons, even though that’s most probably not the reality. Donald Lynn WAS UNABLE TO detect (and identify) ancient blood decals of partial Plate coin obverse tiny patterns because, he has not the trained eye and brain for tiny palaeographic forms as he was neither a palaeographer, nor a professional numismatist, or an ancient blood pattern analyst, or an archaeological image analyst or cryptanalyst. Cannot you JUST understand Donald Lynn COULD NOT become a qualified expert in any of these relevant fields of expertise overnight? Would you blindly rely on a veterinary surgeon’s skill to perform a very delicate neurosurgery in order to re-coordinate your eye and brain system? BTW I am a professional cryptologist and an archaeological image and/or text cryptanalyst. “The only persons who seem to be able to see these coins are the same who really seems to hold stubbornly to see them!!!”. What about a Yannick Clément, a non-qualified expert in any of the relevant fields here involved, holding pathologically not to see them? Reminder: My 2011 Torun paper a more than six pages long research paper… Don’t you evaluate my research paper just on the “preliminary approach” to the coins-on-eyes issue, PLEASE! BTW the American forensic pathologist , Pr. Robert Bucklin (from STURP) positively identified “rounded foreign objects over the right and left eyes.” His full findings may be read on http://shroud.com/bucklin.htm. He was a TRUE forensic pathologist (much unlike you). If Bucklin really wrote this, then I’m affraid that he went a bit too far! As I said in my previous comment, all science can say about the eyes is the fact that there are protrusions there when we look at 3D images of the Shroud and these protrusions are certainly caused by a higher density of coloration in that specific area. That’s all! Going further is entering into the “I think I see” and the “Bad Speculations” territory! At least, Bucklin didn’t make a specific mention about coins! As I said, these protrusions can well be simply due to the natural image formation mechanism that was, for some reason, more intense directly over the eyes than in their neighboring. Personally, I think this is most probably due simply to the fact that the eyes were probably very swollen and were, because of that, much more close to the Shroud, which has leaded to a more intense coloration because of this close proximity between the swollen eyes and the cloth. Many other explanations (including the presence of foreign objects) is possible but I don’t think there is one more rational explanation than the one I just described. Who’s really getting too far? The French-Canadian YC! Bucklin did examine both 3D AND 2D. Can YC tell us how really can an eminent professional forensic pathologist like Buklin, mistake “swollen eyes” images for (somehow) rounded protrusions? Do you really think Bucklin, Baima-Bollone and Zubige cannot discriminate between eye/eyelids anatomical images and flat somehow rounded solid objects? Are you kidding? Do you really think they are all ignorant of ammoniac gases release? Higher density here in the shape of a somehow rounded flat solid object just tells us/forensic pathologists a somehow rounded flat solid object was placed over the TS man’s eyes during his burial. Period. Donald Lynn WAS UNABLE TO detect (and identify) ancient blood decals of partial Plate coin obverse tiny patterns because, he has not the trained eye and brain for tiny palaeographic forms as he was neither a palaographer, nor a professional numismatist, or an ancient blood pattern analyst, or an archaeological image analyst or cryptanalyst. Cannot you JUST understand Donald Lynn COULD NOT become a qualified expert in any of these relevant fields of expertise overnight? Would you blindly rely on a veterinary surgeon’s skill to perform a very delicate neurosurgery in order to recoordinate your eye and brain system? BTW I am a professional cryptologist and an archeaological image and/or text cryptanalyst. What about a Yannick Clément, a non qualified expert in any of the relevant fields here involved, holding pathologically not to see them? Reminder: My 2011 Torun paper is more than 6 pages… Don’t you evaluate my research paper just on the “preliminary approach” to the coins-on-eyes issue, PLEASE! Max has made a valiant effort here, and I hope I may have the opportunity of reading his final version. I still need to read and study the present draft in some depth. Mention is made of both the 1933 Enrie photographs and the much later STURP studies. In Barrie Schwortz’s slide presentation of the STURP work, recently published or referenced here, there is a record of an incident where Barrie objects to Max Frei applying his sticky tape over the eyes of the image. Perhaps Frei did manage to get some tape over the eyes, which may have erased, or partly erased, what image pixels there were there, and the authentic original image has now been damaged so that it is no longer clearly visible. Perhaps Max or Barrie may be able to comment on this aspect? . Sadly, Max Frei died years ago. However, in 1978 NO researchers were permitted to take sticky tape samples from the face of the man of the Shroud. I documented every minute of Max’s tape sampling experiment photographically and I can assure you that neither he nor Rogers took any tape samples from the face. In the recent paper of Gerard Lucotte, he said he analyzed a tiny sticky tape sample containing blood that was supposedly lifted from the face area in 1978 by Riggi di Numana!!! If that’s true, I really think Riggi di Numana did that without any authorization ! I would like Barrie to tell us if this is just garbage from Lucotte or if the sample he analyzed was really taken from the face area by Riggi di Numana in 1978! 1- Lucotte is a liar and his sample never comes from the Shroud. 2- Lucotte is a liar and his sample comes from the Shroud but never comes from Riggi di Numana. 3- Lucotte tells the truth and it is Riggi who’s a liar about the real origin of this tiny sample, which, in this hypothetic case, would not come from the Shroud. 4- Lucotte tells the truth and it is Riggi who’s a liar about the real origin of this tiny sample, which, in this hypothetic case, would really come from the Shroud but would have been lifted by Riggi in 1988 without permission, after he did the sampling for the C14 dating. That’s why Riggi wanted to make believe that this sticky tape sample had been taken by him in 1978 during an authorized sampling. No matter which one of these possible answers is the correct one, in my mind, the sample analyzed by Lucotte should be considered as scientifically invalid versus the Shroud because there are too much unknown related to it. PERIOD. The very fact Barry “now” certified “[he] documented every minute of Max [Frei]’s tape sampling experiment photographically and [he] can assure [Dave] that neither he nor Rogers took any tape samples from the face” ONLY ADD UP TO THE GENERAL CONFUSION (with Lucotte’s mentionning a second sticky tape pulled up from the facial area!). I do think Schwortz’s testimony is bona fide, no question, but I also think the fact remains that once or twice at least, sticky tapes were removed from the Sindon face area.without Barry and Jackson even noticing it. Frei was given the opportunity to go first and take his samples at the very beginning of the examination in 1978. 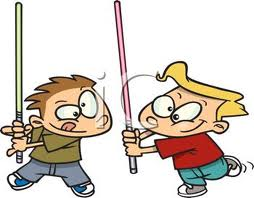 It was then that the incident I previously described occurred, with Max attempting to place tape on the face and Jackson stopping him. He completed his sampling under the gaze of at least 20 people in the room and he never went back to the face after Jackson’s intervention. That was his ONLY opportunity to take any tape samples from the Shroud. He never was given any additional time for further sampling. STURP worked around the clock and there was NEVER a moment when some experiment was not being performed. Consequently, there was no way for Frei to take any additional tape samples without being noticed. He could not sneak in and take samples when nobody was looking, because experiments were going on 24 hours a day around the clock during the entire five days and nights of the examination. Paul Maloney obtained a complete set of my Frei photographs in the late 1990’s and carefully produced a map of where Frei took each of his samples from, based on the photos and Frei’s notes. NO samples were taken from the face and there was NO WAY that Frei could have done so during the 1978 examination. I have no idea what the basis is for Lucotte’s claims, but it could not have been from a tape sample of the face taken by Frei in 1978. Riggi did several experiments on the cloth using an endoscopic camera system and a special vacuum but he never did ANY tape sampling himself. I hope this helps clarify the issue. I too have difficulty in believing these marks to be real, but would like to approach the matter from a different angle. I see from a long correspondence on shroud.com (lombatti.pdf), that some ‘experts’ deny the historicity of coins over the eyes on religious grounds, while others suggest they were there simply to keep the eyes closed. I would like someone to tell me whether a lepton (about 1 cm across) would have been enough to prevent the eyes opening, or not. They are very light, and I would have thought, useless for that purpose. When people were laid out in front rooms in England (perhaps they still are) copper pennies were used, which are about 3cm across and quite substantial. I put ‘experts’ in inverted commas because I deeply mistrust ‘duel by experts’ as a debating tool. I don’t think any of the pathologists mentioned above took the shroud at anything other than face value. As a photograph, the eye area does indeed appear to bulge more than normal optical anatomy allows, so it was reasonable for them to conclude that there was something else present. Being ‘experts,’ of course, they were much too canny to make any historical suggestion as to what it might be.I think Yannick’s analysis is very reasonable here. I note that Don Lynn was ‘a true imagery expert’ and also ‘totally biased and misleading.’ without ‘a trained eye and brain.’ What is the unbiased bystander to make of that? What in fact is his field of expertise – can somebody, perhaps himself, answer for him? And what was the expertise of Rodante and Moroni, who were either ‘pioneering’ or ‘unimpressive’? Finally, what of our resident experts Max and Yannick? Without giving away state secrets, what does a professional archaeological image cryptanalyst actually do? It sounds rather intriguing! Sadly, Don Lynn died in October 2000. Before his death he was the Imaging Project Manager on the Voyager, Viking, Mariner and Galileo projects at NASA’s Jet Propulsion Laboratory in Pasadena, California. He was probably the most qualified imaging expert on the STURP team. I would it an interesting paper to read, but find it a bit incredulous to go with I think I see. If something objective could be extrapolated, not just “I think I see,” it would be more believable. Keep it simple, what you can see in the eyes’ area is definitely not specific of this area, you can’t draw a specific conclusion out of it. It’s entirely your business as to whom you allow to make guest postings on your site, and MPH is no exception. However, given that this individual claims to be an expert in so many arcane disciplines, and is constantly questioning the right of others to question his judgements on the grounds that others lack his expertise, surely the time has come for MPH to be more specific about his own qualifications. A commentator last year on your site described the above as “unusual”. Yes, it is unusual, not least that “Archaeoperceptive cryptology”, which looks suspiciously like gobbledegook to this untutored mind. Might I suggest the time has come for MPH to provide a much fuller cv/resumé listing his degrees, from where obtained, a fuller description of his post at the University of Riyadh and previous academic appointments, and, most important of all, a comprehensive list of his publications in peer-reviewed journals. I worked 4 years for the French government on French Cultural missions in Saudi Arabia — as a University professor — and Algeria but this is TOTALLY irrelevant here in a debate on deciphering tiny partial ancient coin patterns on the Turin Sindon as my contribution here is only within the limits of my expertise as a cryptologist applying a new approach to an archaeological enigma namely the Turin Sindon. Therefore I will ONLY tell you about me WHAT IS REALLY RELEVANT to know in this debate and no more namely I am a professional cryptologist (since 2005) who created 5 new approaches in cryptology among which one applied to criminology and another to both Late Antique and Medieval archaeology in relation with enigmatic images, inscriptions and texts. I first applied my archaeocryptological approach (in 2006) to the enigmatic graffiti in the Coudray Tower, Chinon, France (see my 2006 Loches paper entitled “D’une pierre a graffiti templiers dans la tour du Coudray à Chinon”, proceedings 4ème Colloque national sur les Graffiti Anciens de Loches, 2010, éd. ASPAG/Indre Regional Council). I was an amateur cryptologist for 20 years and have been a professional cryptologist for more than 7 years to present (i.e. I have a 27 years’ experience as a cryptologist). I am also a Shroud scholar (I first got interested in the Turin Shroud as early as 1988). I attended 4 international Turin Shroud conferences, in Nice (France, 1997), Turin (Italy, 1998), Frascati (Italy, 2010) and Torun (Poland, 2011) and made an indirect contribution in the first one and a direct contribution in the last 3 of them). RE his Lirey badge theory within his Scorch theory, can Colin Berry NOW tell us what is his expertise in Templar archaeology and medieval double entendre cryptology? Can also CB tell us how many international Turin Shroud conferences for arch-sceptics he made a valuable contribution in? Most definitely, CB DO lack expertise (to say the least) in Templar archaeology and medieval double entendre as far as his most spurious interpretation of the Lirey badge is concerned. Max has done some good work but this will not put an end to the controversy as more work needs to be done; Who knows, perhaps some of the hundreds of microphotographs in the possession of the Archdiocese of Turin may help to some extent. For some reason or the other these have never been released, prompting one to think that Benedict XVI was not thinking about Turin when he asked for cooperation between Shroud groups in the message read out by Bishop Kevin Vann at the last Dallas Shroud conference. Perhaps a petition should now be sent to Archbishop Cesare Nosiglia. Some years ago Professor Heinrich Pfeiffer, SJ kindly granted me an interview, excerpts from which were published and will posted on the Internet shortly. According to him, Werner Bulst, SJ ( with whom he authored the book “Das Turiner Grabtuch und das Christusbild”) sent photographs of the eye areas of the Shroud to Dr. Ari Kindler of the Israel Museum, Jerusalem and requested him to identify what could be seen. He was of course not told that the photographs were from the Shroud and his reply was that they were images of a Pilate coin. Button-like objects do appear on the Tamburelli photograph. Yet, one can understand the objections to the coins-over-the-eyes papers, which points to the need for more studies like the one done by Max. Louis, very interesting comment and a quick search in Internet indicates that Ari Kindler is truly an expert in ancient coins. Do you think that, if independently contacted, Dr. Kindler would confirm this result? Hullo Gabriel, Given what was I was told during the interview it looks like he will. Great! I am looking forward to reading that interview. Thanks for the information. Reminder for Louis, Gabriel et al: When seen under extreme raking light (see 1931 Enrie’s Shroud face orthophotograph) and in conjunction with Pilate coin legend partial genuine patterns standing out on the linen surface on the right eye area, a protuberant and irregular warp thread (light in the photopositive and dark in the photonegative) can pretty easily be mistaken for a shepherd-crook-like shaped Pilate coin obverse central device. At first sight, it may easily lead to a partial visual misperception of the partial coin pattern even by a scholar or professional numismatist. Thanks for explaining further, Max. I wish you success in your endeavours. The fact is I had planned to contact no less than six experts among whom Ari Kindler to REALLY peer review my Torun research paper (final version) entitled “Turin Shroud: the third face of the coins-on-eyes issue”. The only snag is I just cannot complete my paper as long as I cannot AT LEAST double and triple check my final results (from 1931 Enrie’s Sindon face photograph details of the orbital regions I subjected to the “newly advanced” eidomatic numismatic reading grid (I devised) based on (ancient) blood pattern analysis). First, very early in 2010, I sent Giuseppe Ghiberti, President of the Diocesan Commission for the Shroud, an email (I wrote him in Italian) and then, very early in 2011, I sent Bruno Barberis, Director of the International Center of Sindonology, an email (I also wrote him in Italian) for them to put at my disposal the ad doc Sindon photographic material so that I could double and triple check my final results by also subjecting 2002 Durante and HAL9000 Sindon face authentic paper, HD slide and/or digital copies to the same reading grid I subjected 1931 Enrie’s Sindon face photographic details of the orbital regions. Was my written Italian so bad, on 13th December 2012, I am still waiting for their reply? I wish I also could quadruple and even quintuple my results from 1978 Miller’s Black & White and UV Sindon face photographic authentic paper, HD slide and/or digital copies. To check my final results from1931 Enrie’s Sindon face photograph HD Slide copy, I only have a second generation paper photographic colour copy of 2002 Durante’s Sindon digital photograph. A shame! Wow!! Even by the standards of the nonsense that shroudies come out with the “coins on the eyelids” is far out. Ignore mere facts about the cloth, image processing, numismatics and Jewish burial customs just to cling to the chance this medieval fake is real. Passing Stranger: Bald assertions without supporting arguments get a low tolerance threshold on this site! Give us your arguments why it’s a medieval fake, and they’ll get dealt with. ‘Course if you don’t hang around here, you won’t get to see the responses! Caution – Most of us aren’t interested in mere opinions – we prefer facts, logical argument, evidence – but we’ll understand if you can’t handle that kind of heat! This ain’t no mere Twitter site! Passing Stranger does sound fake. “A bouquet of rock rose, which I (Avinoam Danin) had noted along with the crown chrysanthemum in 1995, appears on THE RIGHT CHEEK of the human profile on the shroud. Dr. FR HAD PLACED HIS ADHESIVE TAPE No. 6bd AT THAT SPOT(bolds are mine) and actually found some grains of rock rose pollen long before anyone had discovered images of the plant on the shroud.”? How can Barry account for the existence of 1978 Frei’s sticky tape No. 6bd REMOVED FROM THE TS man’s RIGHT CHEEK? THIS IS A MATERIAL FACT! (Myself I have detected at least 4 flower heads among which one petaless flower head on the left side of the TS man’s face). There is a plan of the shroud showing tape sample areas taken in 1978 on the McCrone Research Institute website, which does not show a sample 6BD. However the numbering is somewhat obscure (at least to me). It looks as if there were 6 sample phases (although they are numbered 1, 2, 3, 4, 6, 9), each one labelled alphabetically, with the suffix F or B to indicate the frontal or back image. These constitute the 32 samples often mentioned. However, the alphabetical series are full of gaps. Series 1 covered the back of the legs and is lettered AB to JB, but CB is missing. Series 2 covered the front of the legs and is lettered AF to CF, with a plain 2-F just to confuse things. Series 3 covers an area of Lirey holes (AF to EF) and also a midriff area of the back (AB to FB, with DB missing). Series 4 has an EB on the back of the neck, and a 4-F on a non-image area. Series 5 is missing altogether. Series 6 covers the chest, AF, BF and DF, but no CF. Series 7 & 8 are missing altogether, and Series 9 covers the top of the head, AF to CF. Perhaps somebody could explain this? It is usually stated that Max Frei also took some samples in 1973, which of course the STURP team were not involved with. Perhaps one of these was the sample Danin was talking about. The sample number sounds bit fishy though. Danin’s paper mentions sample 6BD. I wonder if that’s a misprint for 6DB, which would make more sense, but in that case it would refer to a sample on the back of the image, not the cheek. Perhaps somebody could explain this too?